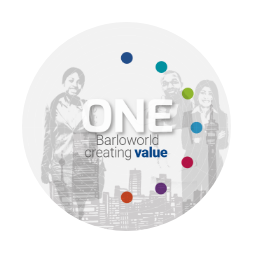 The primary purpose of our integrated report is to explain to our long-term providers of financial capital how Barloworld creates value over time. However, in line with the stakeholder inclusive intentions of King IV, our report also reflects on the wider impact of our value-creation activities on all our key stakeholders. The theme of our 2018 integrated report is "Managing for value". We are actively managing our portfolio to create sustainable value while contributing meaningfully to our stakeholders. In developing our group strategy, all six capitals were considered and are integrated into the key performance indicators (KPIs) used to measure our performance against strategy. This year our report is structured around the matters we consider material to our continued sustainability, embedded in our principle of managing for value (namely capital allocation, operational performance and high-performance culture) and licence to operate. Our material matters are derived by considering the factors that could substantially affect our ability to create value in the short, medium, or long term and these matters have informed the content of the report. 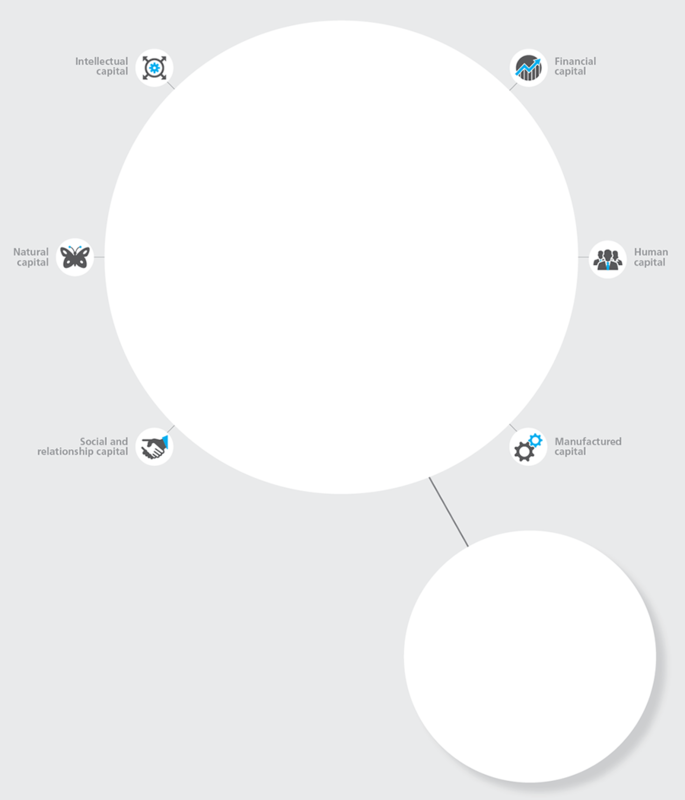 See Business model for more information. or visit www.barloworld.com to download the feedback form. Where indicated in our integrated reporting, references are to the relevant GRI Sustainability Reporting Standards (2016) disclosures. * Copyright and trademarks are owned by the Institute of Directors in Africa NPC and all of its rights are reserved. Our integrated report covers the performance of Barloworld Limited for the financial year ended September 2018 for all geographic regions in which the Barloworld group and its subsidiaries operate. The report extends beyond financial reporting and includes non-financial performance, opportunities and risks that may have a significant influence on our ability to create value. The consolidated data incorporates the company and all entities controlled by Barloworld as if they are a single economic entity. There are no other entities over which the group has significant influence that it believes should be included in the report. Both financial and non-financial data are aligned to the same financial reporting period allowing for comparison of performance data. Any limitations are disclosed in the relevant section. Any material events up to the board approval date on 10 December 2018 are also included. On 15 November 2018 the board approved a proposed B-BBEE transaction to be known as "Khula Sizwe". This proposed transaction seeks participation from our employees, management and the general public in South Africa. The proposed transaction is subject to approval by shareholders at the special general meeting scheduled for Wednesday, 14 February 2019. The board, with the support of the audit committee, is ultimately responsible for Barloworld's system of internal control, designed to identify, evaluate, manage, and provide reasonable assurance against material misstatement and loss. We apply a combined assurance model, which seeks to optimise the assurance obtained from management as well as internal and external assurance providers while fostering a strong ethical climate and mechanisms to ensure compliance. For an understanding, please refer to our assurance matrix. The financial information in this report, together with material non-financial indicators (limited assurance), is independently assured by our independent external auditors, while our B-BBEE status is verified by Empowerdex. In June 2018 the group announced the conclusion of the sale of its Equipment Iberia business. The results of the Equipment Iberia operations and the profit on the sale of this operation have been reported separately as a discontinued operation. In February 2018 the Automotive business concluded the minority buy-out in the Salvage Management and Disposal (SMD) business. The sale of the Coachworks Tokai business was concluded in June 2018 and in July 2018 the N4 Witbank Jaguar Land Rover dealership was closed down. All data and our 2018 integrated reporting reflects continuing operations unless otherwise stated. The board of directors acknowledges its responsibilities to ensure the integrity of the integrated report. The board believes the report addresses all material issues and fairly presents the integrated performance of the group. We as a board believe the integrated report has been prepared in line with best practice set out in the International Integrated Reporting Framework and the King IV code. We seek to report transparently on challenges and uncertainties we are likely to encounter in pursuing our strategy. As a result, this report may contain forward-looking statements with respect to our prospects.